The Scottish know how to have a good party – in Scotland both January 1st and 2nd are public holidays (so as to offer good recovery time from Hogmanay) and the national day, St Andrews Day, is patriotically celebrated. 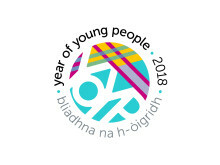 There is little excuse needed then for a further festival which takes place across Scotland on January 25th each year to celebrate possibly the nation’s greatest poet – Robert “Rabbie” Burns – and few festivals could carry with them such intrinsically Scottish tradition! 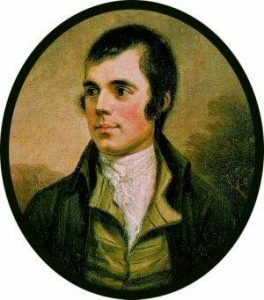 Taking place on or around January 25th, each year, the Birthday of Robert Burns, “Burns Night” is celebrated widely throughout Scotland as a tribute to the life and works of this great Scottish poet. Robert Burns, who was born in the 1700s and loved in the Scottish Borders region south of Glasgow, was, and still is, revered as a master of the Scots Language as well as writing in English and a Scots dialect of English; his poetry and folk songs are widely known across Scotland and indeed the world and include the famous “Auld Lang Syne” which is traditionally sung at Hogmanay (New Year’s Eve) each year and of course, his “Address to a Haggis” a fantastic work dedicated to Scotland’s national dish. in a sheep’s stomach lining) usually served with neeps and tatties (Parsnips and Potatoes). Traditionally the meal is served only after a recital of the famous “Address to a Haggis” often accompanied by the sound of the bagpipes in the background. The dish is of course washed down with some quality single malt scotch whisky! In more formal quarters the evening is then rounded off with “a toast to the lassies” whereby a male speaker shares his views and words of wisdom on the subject of women followed by what’s now often referred to as the “toast to the laddies” in which a female responds with her insights and anecdotes regarding the male species! And all followed with general socialising, drinking and banter that the Scots are so good at. 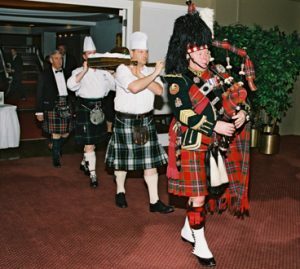 If you find yourself in Scotland in January, don’t miss out on a chance to experience a Burns Supper and even if you’re not here for Burns Night itself you can still enjoy a traditional Scottish evening in Edinburgh including the piping of the Haggis. For the full poem “Address to a Haggis” click here and to hear some stunning recitals click here.